We endeavour to build on the interests for all our children in order to motivate and inspire them. 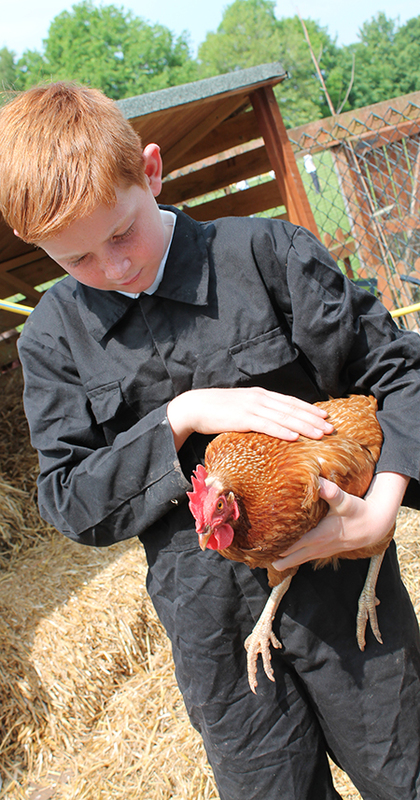 Our chickens were the initiative of a former pupil, who was able to succeed in caring and providing for the animals. Since then many of our children have benefited from having the responsibility to care and protect our animals. We have a range of different animals such as the chickens, which have been here for the longest. The chickens can eat chicken feed, vegetables, grass and grain seeds. The chickens have a safe home. As well as the chickens in the pen, there is our school rabbit called Garry that lives with the chickens. Also, some of the chickens keep our school goat (Buster) happy, by keeping him company. Some of the time we let the chickens out of the pen, so they can exercise. The chickens are mainly looked after by our Site Manager, Jane Burrage, but the children of Barnton C.N.P School look after them too. The chickens help educate too! They teach us about the life cycle. By observing them we can see that the chicken will hatch if they’re in the right environment and will show the creation of life.